The calendar may indicate that spring is just underway, but here at VIS we are already gearing up to support a range of summer workshops. I’ve written past blog posts here and here about NSERC, which we have supported for the past few years and NASA DEVELOP, which we are now supporting as well. This summer we will also assist JPL/Cal Tech with their Summer Sagan Workshop and University of Richmond with a joint program they are conducting with Chesapeake Conservancy. 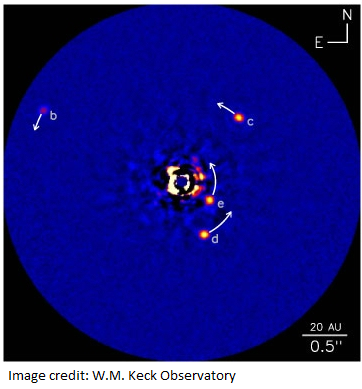 The 2013 Sagan Exoplanet Summer Workshop will “explore current techniques and technology used to detect and image exoplanets and debris disks” according to their website. One of the tools that will be used for this is IDL, which Exelis VIS will provide to the workshop for installation during the duration of the program. Chesapeake Conservancy will be working with students at the University of Richmond, providing a real world opportunity to work with imagery and GIS for environmental monitoring work. Students will be able to learn the ENVI Platform of tools for image analysis. What summer geospatial workshops are you looking forward to?